November | 2009 | NICE! Photography portfolio of Nicola Roman Walbeck. 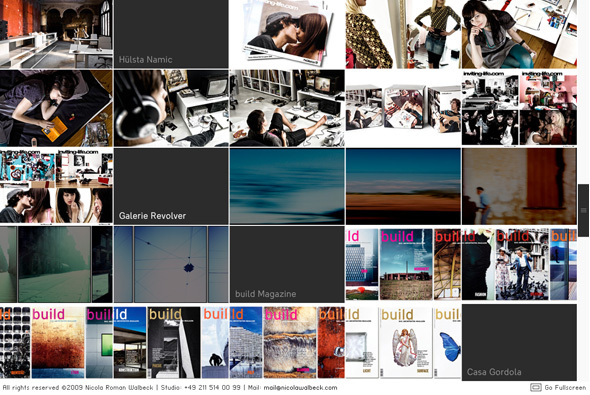 Simple, effective, grid based site – with some nice touches. When you click on a photo the whole site shrinks, then twists around – you have the zoom in mechanism where the photos fit more than fullscreen so you can scroll around and explore the details. Created by Hans Schaale and Christian Potthast. 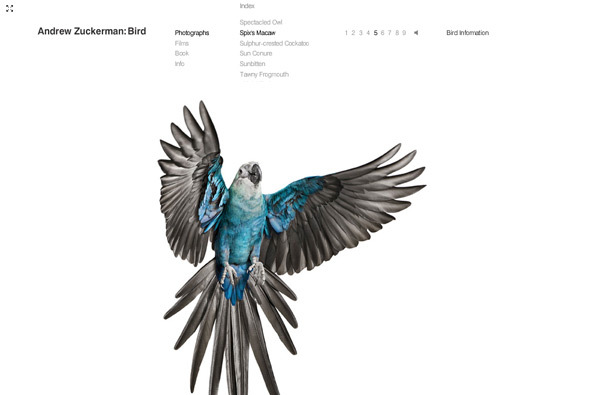 Clean, elegant design promoting Andrew Zuckerman’s new book ‘Bird’. Set in a minimal interface Andrew Zuckerman’s photography comes to life, with the vibrant colours and dynamism of his subjects shining through. Beautiful photography in a great setting, I like the way the menu minimises to really focus on the photography. 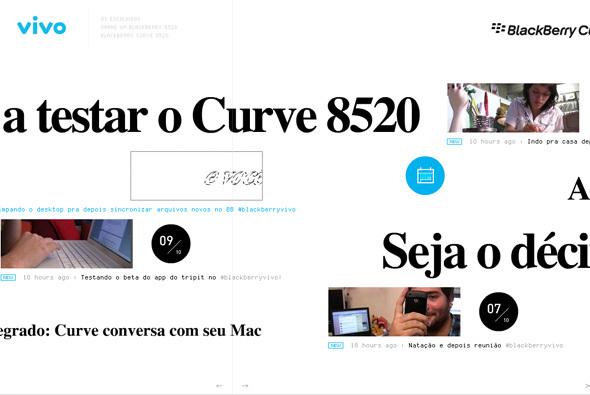 Pretty cool site promoting Blackberry in Brazil. Using Twitter feeds and Flickr images and videos, you can see ‘normal’ people using their Blackberry. These messages, videos, and images scroll by to give you a nice overview of what is possible using Blackberry products. Really nicely produced, lots of slick animations with a clean and crisp visual style. Nice to sit back and let it all roll by. Created by Pelle Martin and Flex Nielsen. 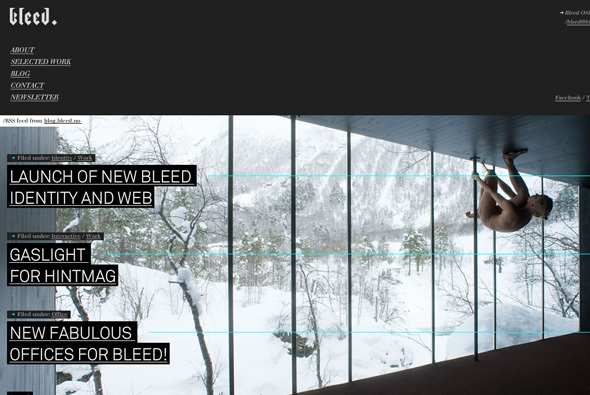 Website of Norwegian design consultancy Bleed. Pretty cool website, all the things you would expect from a polished agency portfolio – but with a bit more attitude, love all the rollover effects and the clean simple animation style. They showcase their work in a really clean elegant way. Interesting site promoting Verbatim memory. Characters that are made up from memory sticks fight each other in an arena, you can answer a series of questions, each correct answer gives you more memory – in the end creating your character – which you can then use to fight other characters. 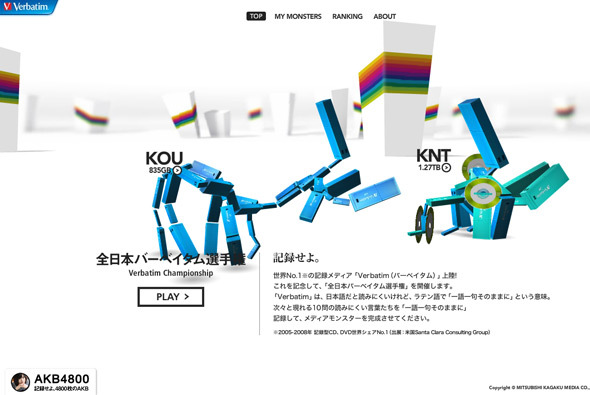 All in slick 3D, the site is great fun to use, with loads of nice animations and interactivity. Pretty unusual and engaging way of promoting a somewhat boring product! Created by Roxik, who created Pictaps and developed the amazing Ecodazoo. Site allowing you to find music to go along with your production. A very very simple site but very well structured, slick and easy to use, essentially you select tags for the type of music you are looking for and mix match them to get music matching your selection – which you can then download. Lots of cool animation and slick rollovers and usual it looks very much like a Soleil Noir production, slick and simple. Site promoting the new Nike Air Jordan M6 footwear. Described as ‘A multi media journey’ through the shoe, featuring designers and sportsmen the site showcases why the shoe is so great. Really like the interface and the fullscreen video, shot from interesting perspectives – shoe cam! Has all the necessary things in there, some slick animation and typography. 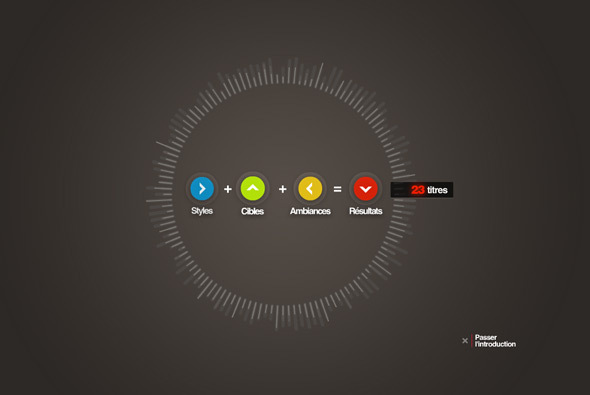 Interesting site from Orange, which allows you to create remixes of popular songs using your own voice and also encourages collaboration with your friends. Inviting you to record various sounds for different notes, you can also connect through Facebook and invite contacts to also record different notes. It then works by playing these notes in a sequence to a pre defined pattern to make songs, so far only a couple are there. 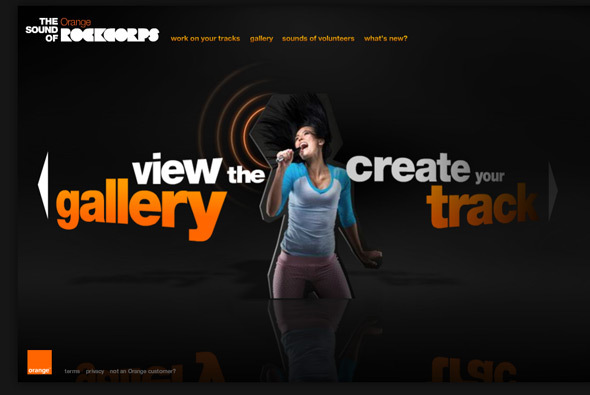 A really funny idea, in the end encouraging you to join the Orange RockCorps collective to do community charity work. The site also looks great, with nice 3d transitions, great look and feel, lots of detail and also highly polished!